On Father's Day, a dad would probably appreciate some eggs/bacon/grits/biscuits for breakfast. But if you feel like trying something different, here's a breakfast I made recently. 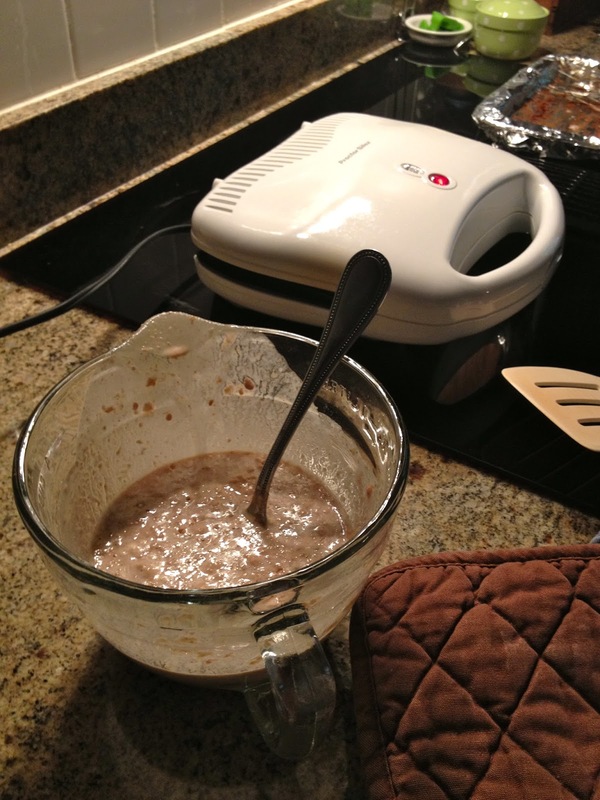 For pancakes and waffles, I usually start with Martha Stewart's basic pancakes recipe and modify as needed. I change almost any recipe I use, by substituting ingredients or adding flavors. I stir until moistened and let rest for a few minutes. I had already cooked the bacon, in a 400 degree oven for about 20 minutes. Know your oven, though. If your oven tends to be hot (or cook quickly, if you prefer to look at it that way), you may only need 375 degrees for 12 minutes. 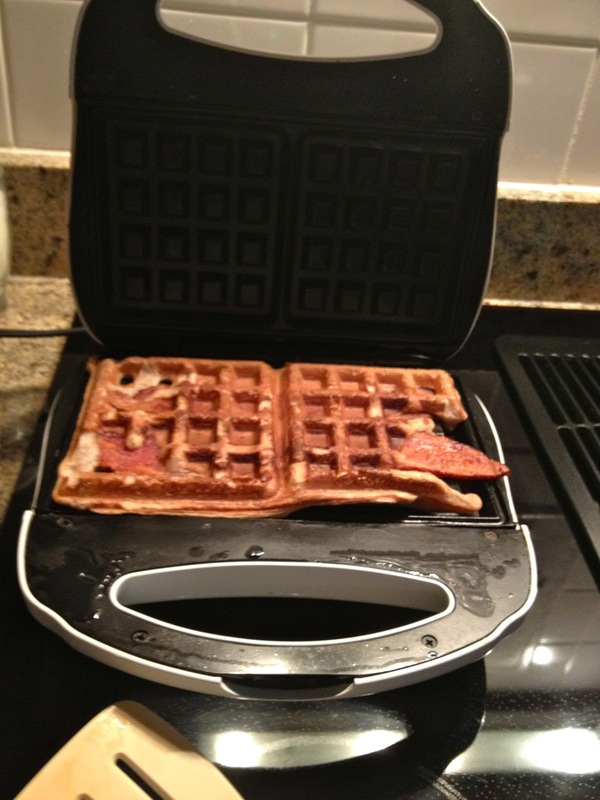 I cooked the bacon almost all the way done, but allowed for it to cook just a little more while in the waffle iron. 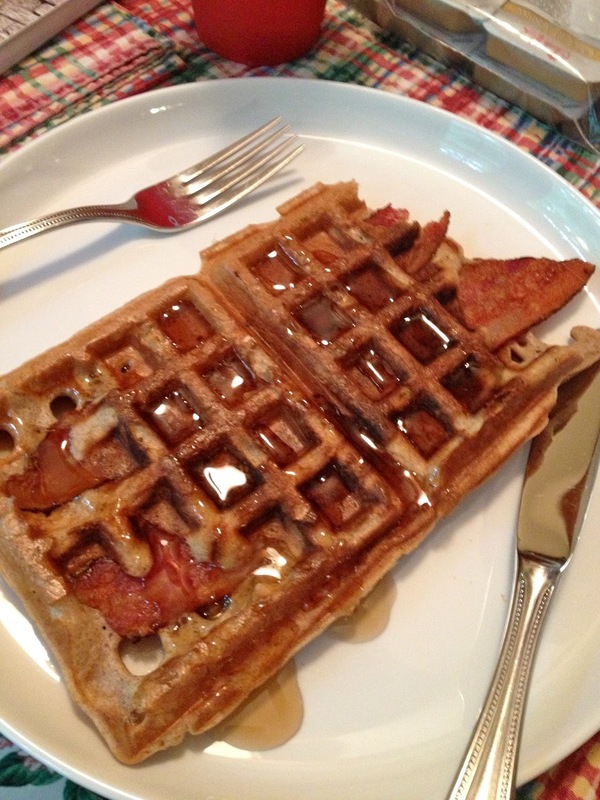 I let the bacon drain on paper towels on a plate until the waffle iron was hot and the batter had rested. 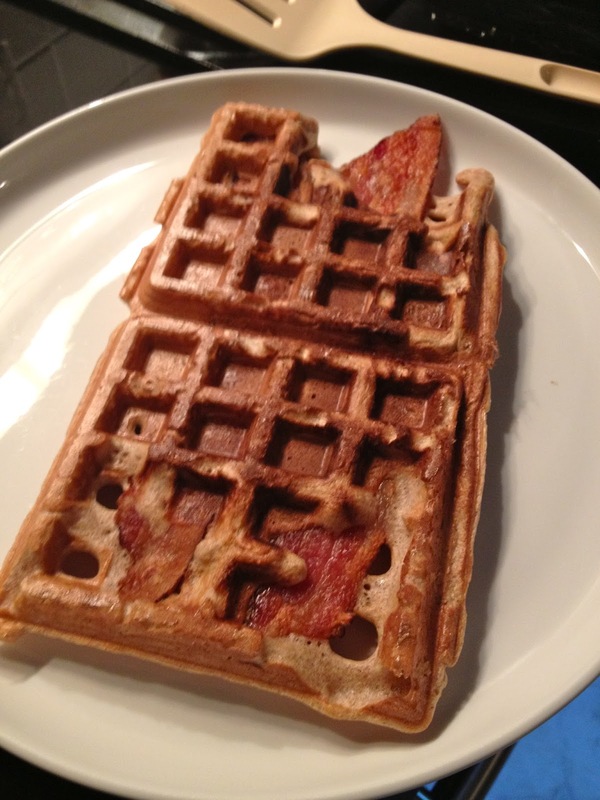 I placed two strips of bacon into the waffle iron and then poured batter on top. There's no need to pour some batter first; it will encase the bacon. 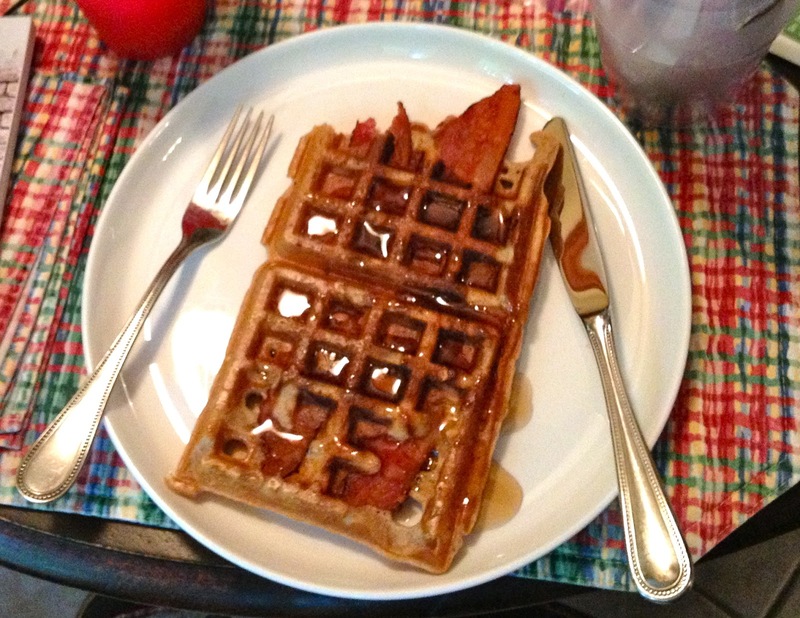 You may want to break up the bacon, depending on the size and shape of your waffle iron. Waffles are done when they stop steaming. I poured on syrup, but it is the perfect time of year to add some diced peaches if that's something you/your dad like. I made these waffles while my dad was at men's breakfast at church, so I wrapped each waffle in waxed paper and placed in a freezer bag to freeze. They heat up well in a toaster. Enjoy and love your dad well. Even if that means making eggs, bacon, and grits instead of waffles.